This was a lovely commission to work on. A (very proud!) father asked if I could make something to celebrate his daughter completing her English Ba Hons. 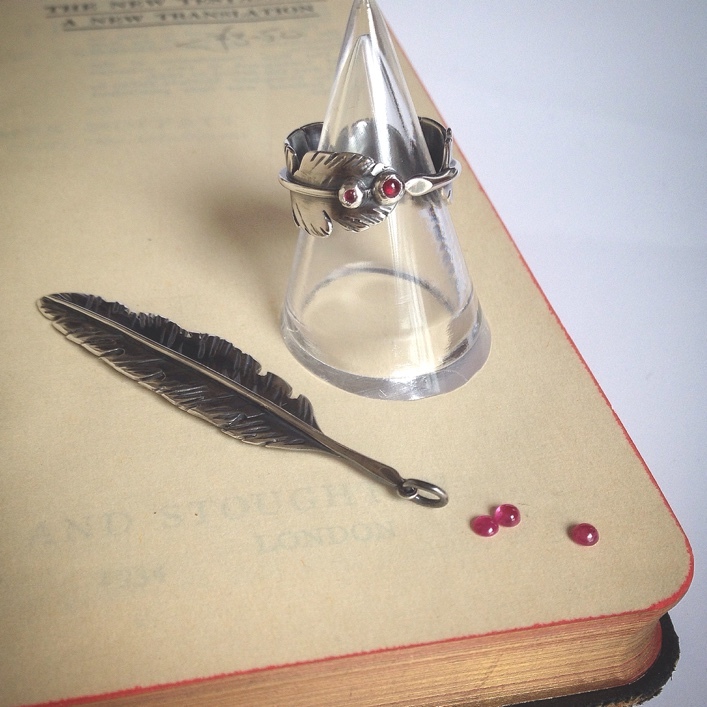 This, hand carved and formed, oxidised solid silver quill represents her future as a writer. The Ruby cabochon stones represent little dots of ink.